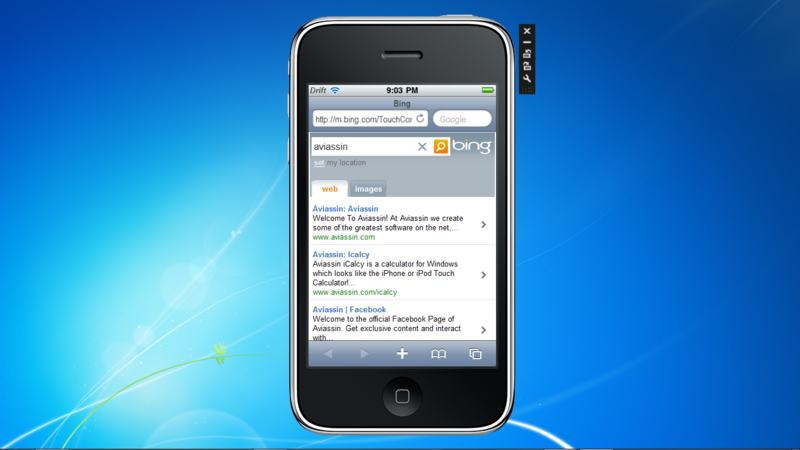 iPhone Drift is a web browser for Windows which looks like an iPhone! 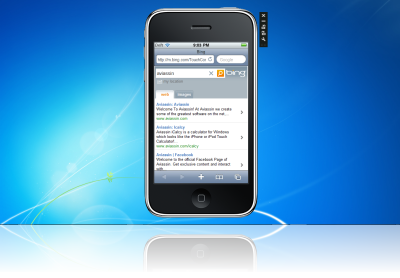 You can easily browse the web, check out how your page will look on a real iPhone or just have some fun! 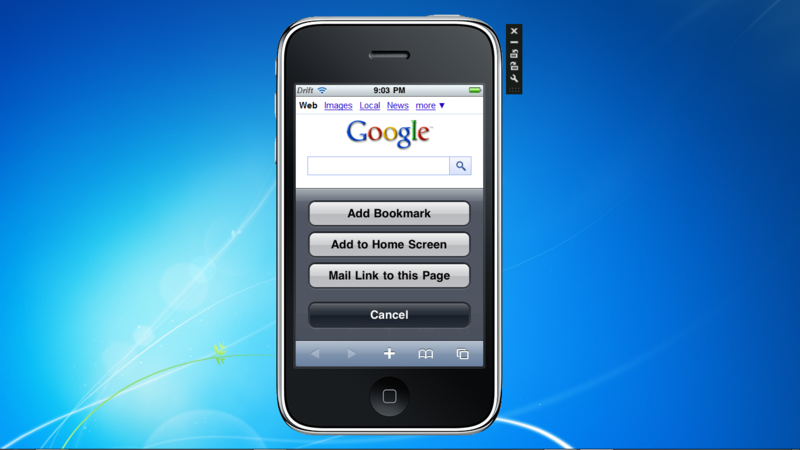 iPhone Drift temporarily changes the user-agent of the web browser, tricking websites into believing it is real iPhone - so they display websites as they would on mobile Safari. 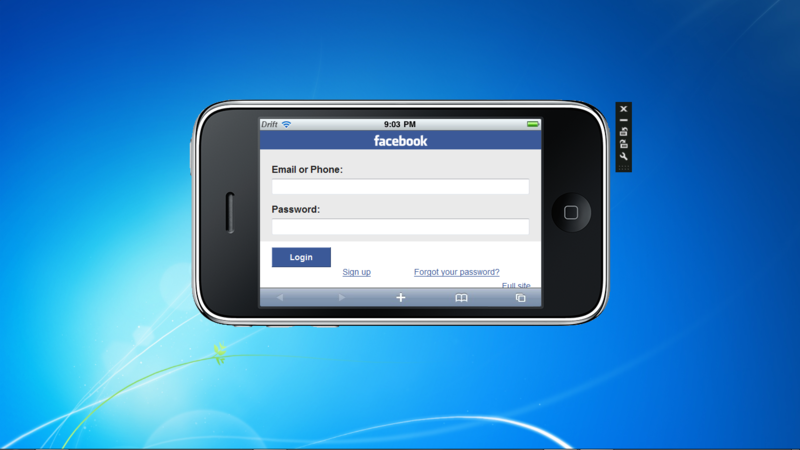 iPhone Drift is a portable application - which means you take take it with you on a USB drive and enjoy it anywhere! - no installation is required. iPhone Drift is extremely lightweight, it requires very little system resources and has a filesize of less than one megabyte! Rotate your iPhone into four separate orientations with the click of a button. Onscreen iPhone keyboards let you feel like its the real thing - they are fully functional and appear whenever the user needs to type. 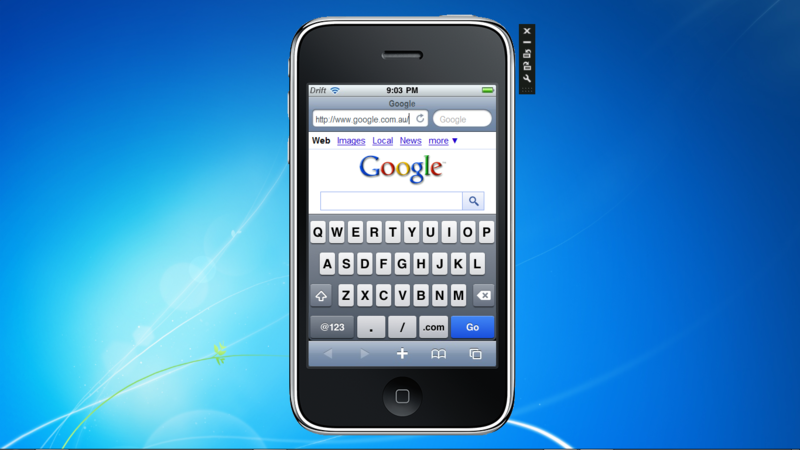 There are even three separate keyboards for URLs, Google and typing - as on an iPhone. 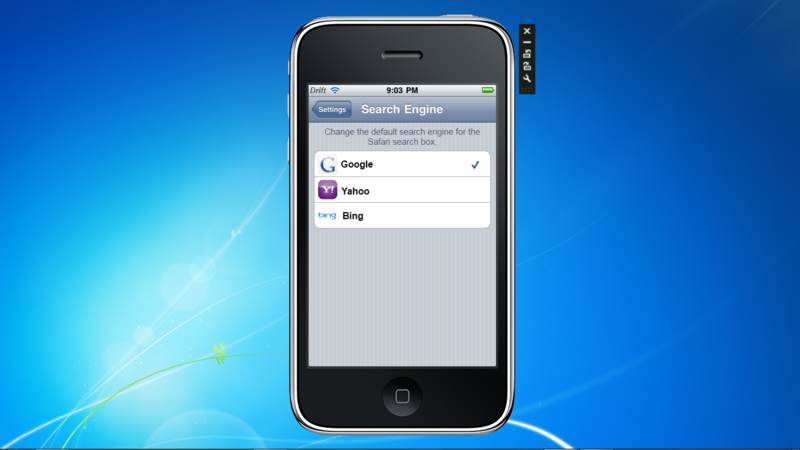 iPhone Drift includes settings aplenty - you can select the default orientation, homepage, search provider, and you can even change the user-agent to another device! 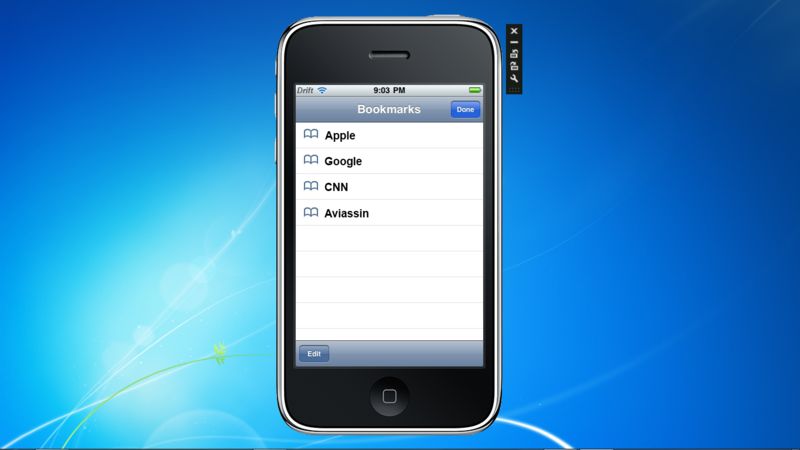 iPhone Drift lets you store up to four bookmarks, they are displayed identically to a real iPhone in a popup window.